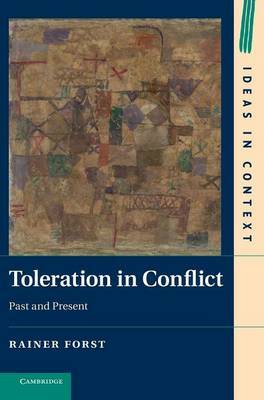 The concept of toleration plays a central role in pluralistic societies. It designates a stance which permits conflicts over beliefs and practices to persist while at the same time defusing them, because it is based on reasons for coexistence in conflict - that is, in continuing dissension. A critical examination of the concept makes clear, however, that its content and evaluation are profoundly contested matters and thus that the concept itself stands in conflict. For some, toleration was and is an expression of mutual respect in spite of far-reaching differences, for others, a condescending, potentially repressive attitude and practice. Rainer Forst analyses these conflicts by reconstructing the philosophical and political discourse of toleration since antiquity. He demonstrates the diversity of the justifications and practices of toleration from the Stoics and early Christians to the present day and develops a systematic theory which he tests in discussions of contemporary conflicts over toleration.